A topic I’ve found myself thinking about frequently during my b-c-batical (see last post) are institutional and organic relationships. How they are similar, different, and how they co-exist. We all have organic relationships; family, close friends, and the neighbors we are usually glad to see when we come home. OR (organic relationships) are the friends we choose and (usually) family we didn’t. ORs are those we rely on when we are struggling and the ones we want near when we celebrate. Institutional relationships are a bit more varied and at times complicated because they are layered with issues of power, roles, spoken and unspoken expectations. These are the relationships at work, in organizations such as churches and schools. IR (institutional relationships) are essential in both professional and blue-collar institutions, they keep things running and help provide the structure essential for many people working on a shared mission. 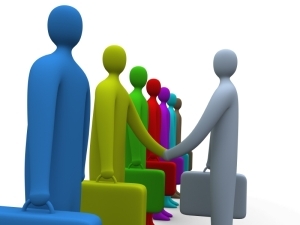 They may be peer relationships, manager – subordinate, or client – professional relationships, and as varied as these all are they are types of IR as their purpose and role are typically clearly defined by the institutions or organizations for which they are formed. Lack a skill – take a class. With this perspective I believed that any community could be transformed with a polished and perfected program. A new church, a new non-profit organization, a new…. Find a problem, create a organization, and “shazam” community transformation takes place. While I gradually learned the error of this simplistic thinking, I still find it prevalent in the way many organizations/institutions function. Yes, information is power, and the right information can provide a road map for change, but organic relationships are the paper on which those maps are printed. The information most of us use and trust is usually backed by a person we also trust. Trust is intrinsic in ORs, it is accidental in IRs. Institutional relationships also can disseminate information, however alone they break down under pressure as IRs exist only under specified conditions. IRs are limited to a specific role that is to be performed in exchange for pay or other tangible results. ORs have tangible results as well, but the relationship also includes qualities of trust and rapport beyond preforming a basic role. In short it is the difference between friend and associate, the difference between a confidant and a client. Client and associate relationships deliver services, however it is confidants and friends who can best facilitate transformation. 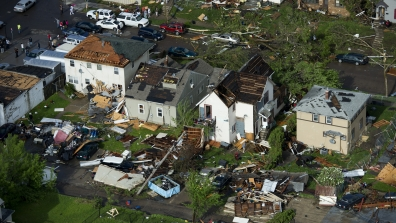 Let me give an example; two years ago a tornado ripped through North Minneapolis. This F1 storm created a block wide path of severe damage and a much broader area of serious loss. While this is small, compared to damage we’ve seen in other cities, to the families whose homes were devastated it was no less serious. Immediately, everyone was in the same boat struggling together to stay dry, fed, and safe. The organization I was working for at the time was in the center of the storm’s path and played a key roll in neighborhood recovery from immediately after the storm, until months later. As time progressed, one thing I noticed doing intake interviews to see how we could best assist people, was that, typically speaking, persons with fewer organic relationships in their life had a harder time recovering from the storm. I began to think as I was interviewing people 2-3 months after the storm, “I can give you stuff and information, but what you really need are some good friends.” The devastation of the tornado caused IRs to overload and breakdown, thus failing to deliver the information and services needed. OR’s were key for those who tapped into essential resources and information. True, income and wealth were factors, in the speed of recovery. The wealthier one was, the faster they could recover, additionally one can live a life with few organic relationships if they are wealthy enough; you can just buy what you need. But for most of us, the help we need and the information we trust, comes through the organic relationships we’ve been able to cultivate. Organic relationships are the paper on which the informational road maps we need are printed. This is why a new program, non-profit organization or church alone cannot make lasting change in a community. They are all institutions; and an institution, without intentionality and originality, can only do what they do naturally, create institutional relationships. However, if institutions are willing to be intentional and be original they can spark organic relationships, even provide the resources to help them grow. As Minne-Mex was working on the 64 unit apartment complex in downtown Minneapolis we had clear institutional relationship and roles to fulfill. It is powerful how blue prints and supervisors can organize all the various crews and tasks to complete the job. We fulfilled our role and received our pay, but our crew also desired organic relationships within the institutional ones. We began to share lunch together daily. 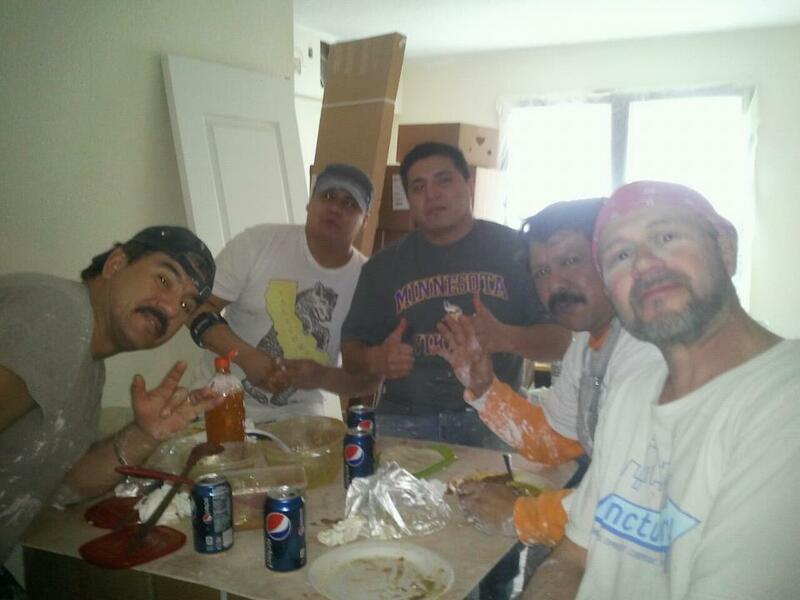 We had 5 full time workers and so each person was given a day to bring lunch for all. What was amazing for me to watch was not just how we grew closer as a crew, but how workers from other crews began to come share lunch time with us. While this is a small thing it demonstrates how hungry people are to find environments in which organic relationships can grow. Within the context of these young OR’s people found support in times of loss, marriage struggle, facing prejudice and just celebrating life together. A new organization, or program, church or institution might help transform a community, but only if they move out of institutional norms and into the realm of friendships. How have you seen organizations/institutions be intentional and original to foster organic relationships? What are examples you have seen where institutional relationships broke-down and failed to really meet the needs of the people they were seeking to serve? Marque, wonderfully written and so very true. So glad that we have you and Janeen as OR’s. How wise you are to notice it’s importance in people’s lives. As always, you are right on point MJ. Keep teaching us. I wonder if perhaps there is a false tension between OR and the Church which you classify as IR. Many of my best OR are as a result of my connection to the church. I have often said how can people make it through horrific situations (Like when my daughter had a traumatic brain bleed) without the support of a church family? I agree that true friendships and community relationships are essential to overcoming many difficult situations. The church has to be more than IR or it is not the church. Thx. Also makes me think about form vs spirit and individual vs community and closeness vs distance. Internet is fllattening and connecting relationships and information but also distancing them. It is a great set of questions for eveiry organization, church, burealucracy, etc. We always need to puslh bth directions as u describe: stronger instituetions and more organic relationships. If u want to give foecus to this and helsp the world make these distinctions i think u could run it lots of direoctions. Ir would guess that now we have a bad .marriage of weak organic and ineffective institutions wyith poweryful tools of communication, technology, and info that could be applied toi build or destroy. The problem with such institutions or churches in particular is that we need to break away from the Roman Catholic liturgical order. The true fellowship of believers was never supposed to have “leaders” or CEOs as I like to call them. The only reason we continue to follow this order is because this is Capitalistic America. Its the vehicle for producing large numbers of people and revenue, but no growth, maturity and ORs.